The Arctic Encounter Symposium (AES) is the largest annual Arctic policy event in the United States. Founded in 2013, the AES aims to confront the shared interests and concerns of the United States and the global community as we look north to the last emerging frontier - the Arctic. Policymakers, industry leaders, regional stakeholders, and leading experts from the science, technology, maritime, and energy sectors, come together at AES to challenge the status quo dialogue, critically address challenges, and collaborate on solutions. The Arctic Encounter Symposium (AES) in Seattle, Washington convenes policymakers, industry leaders, military leaders, and other experts to confront the leading issues in Arctic policy, innovation, and development. Roughly 300 stakeholders, domestic and international, gather to address the most pressing challenges and innovative ideas in the Arctic region. Participants and speakers represent leadership from many Arctic nations including Norway, Finland, Russia, Iceland, Canada, Greenland, the United States, and more. As the largest annual Arctic policy event in the United States, the AES mission is to raise awareness, engage challenges, and develop solutions for the future of a region and a people. The two-day program includes two keynote luncheons, expert plenary sessions, break out session panels, reports, exhibitors, a networking cocktail reception and three course seated dinner, artistic and musical performers, and a closing reception. Each year, roughly 90-100 speakers address a wide range of topics including infrastructure and connectivity in the Arctic, the health of Arctic peoples, and new media and innovation in the Arctic. We are grateful to the United States Coast Guard for permitting AES guests to participate in an exclusive tour of the United States Coast Guard Cutter HEALY each year that the Seattle symposium has taken place. The U.S. Coast Guard Icebreaker fleet is often a widely discussed topic at AES. U.S. Senators Murkowski and Cantwell – joint keynote speakers at the 2016 AES dinner at the Museum of History and Industry – discussed the need for increased U.S. icebreaking capability. The U.S. Coast Guard also had an impressive presence at the Arctic Encounter, including Vice Admiral Charles Ray, Pacific Area Commander, USCG Defense Force West, and Rear Admiral Daniel Abel, Commander of the 17th USCG District – Alaska. 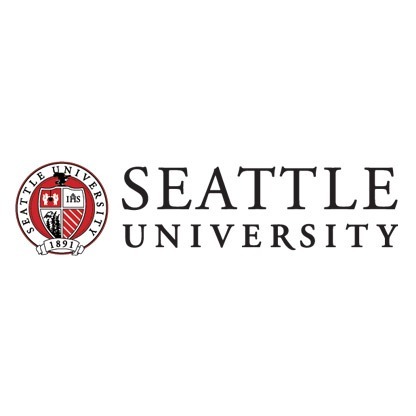 The host of AES 2014 was Seattle University School of Law. The host of both AES 2015 and AES 2016 was the University of Washington School of Law. In 2017, the Arctic Encounter became a non profit organization (501c3) and independently hosted the 2017 and 2018 Arctic Encounter events at the Bell Harbor International Conference Center at the downtown Seattle waterfront. Alaska Airlines and Stoel Rives LLP served as the co-host sponsors of the 2017 and 2018 events. AES is a production produced and directed by Kallander & Associates LLC. The Arctic Encounter hosted its first international event - Arctic Encounter Paris - at the French Military College (École Militaire), the French Military Library and Campus Eiffel in Paris, France, on December 10-11-12, 2015. The Arctic Encounter Paris (AEP) took place on the final days of the monumental United Nations Convention on Climate Change (COP 21) where over 50,000 participants and 25,000 government delegates gathered to deliberate the world’s response to our changing planet in Paris. The AEP was the only Arctic policy and economics planned to take place during the UN Convention COP21. On Thursday, December 10, at the French Military Library (Centre de Documentation de l'Ecole Militaire), the AEP held a 2-hour debate, with three French Arctic and Antarctic explorers and students of the French War School (Ecole de Guerre) on the topic: "Is the Arctic a Global Common?". A cocktail reception and book signing session with the explorers took place following the debate. 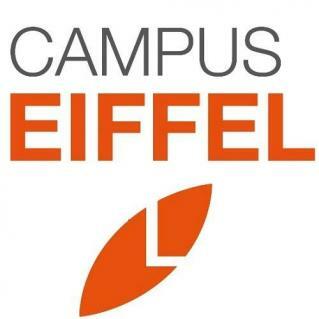 On Friday, December 11th, at Campus Eiffel, under the patronage of Sen. Karine Claireaux (Saint-Pierre & Miquelon), the AEP hosted the first Model Arctic Council ever held outside the Arctic, with 42 students coming from 23 universities and research institutions from all eight Arctic countries, France, UK, etc. In the evening, the AEP will held a 2-hour debate with five Arctic experts from American, Canadian, Norwegian and French think tanks, alongside Hon. Aleqa Hammond, former Premier of Greenland and current Member of the Danish Parliament for Greenland, on the topic: "Arctic Wars: Climate Change & Security in the High North." On Saturday, December 12th, the AEP engaged policy, industry, and research leaders from Arctic and non-Arctic states during a full day of speaking panels and exciting debate at the French Military Academy (École Militaire). The 2015 Arctic Encounter Paris was produced by Kallander & Associates LLC and the French Polar Cluster, in partnership with the French Navy Center for Strategic Studies (CESM - Centre d'Etudes Stratégiques de la Marine), the Directorate for Higher Military Education (DEMS), Campus Eiffel, the French Think Tanks Observatory, and more than 15 institutional, business and education partners. With an attendance of 350+ participants over three days, AEP 2015 was COP21's largest Arctic forum.